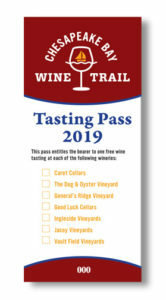 Our 2019 Tasting Pass is here! 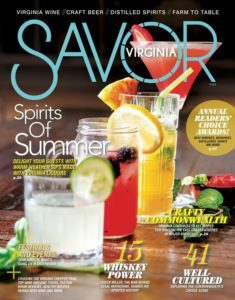 Save BIG when you visit the Chesapeake Bay Wine Trail! Our limited-edition Tasting Pass entitles you to one wine tasting at seven participating wineries of our Trail. Makes a great gift for out-of-town friends – or why not treat yourself! Use your Tasting Pass in conjunction with our Passport Program to earn additional wine discounts. Each Tasting Pass represents a $47 value. Save more than 35% over normal tasting fees! RULES: Must be at least 21 to purchase and taste; valid ID required. The Trail is not responsible for lost or stolen passes. Not valid for admission to ticketed special events. Pass expires on December 31, 2019.